Marcelle Cosmetics (Marcelle.com) was very generous to have sent me some items to review; I hope I haven’t let them down due to my lengthy review time. You see, life isn’t only about being a Mom … it’s about being a daughter too. Lately I’ve been spreading myself thin. 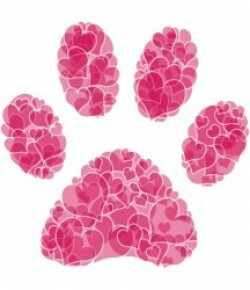 Mom, spouse, daughter … rarely is there time left over for me. Once I used to be very wrapped up in how I looked: shoes, clothes, hair, nails, make-up … it had to all look perfect. In my life I’ve learned, as I’ve aged, that it’s less about quantity and more about quality. I worry more about the condition of my skin than about what I put on it! Of course I still wear make-up; however, I wear less of it and less often too. I want to be able to cleanse my face completely and leave my skin looking and feeling healthy. Yes partly it’s about on-the-g0 ease, but even when I’m home I don’t want a series of steps to clean my face! Simply put; I want easy and I want good. Don’t we all? I have had a few issues in my life to deal with and it’s all left me run down. I’ve been able to rely on Marcelle Ultra Gentle Cleansing Gel and it has worked wonderfully on my face … it’s also worked wonderfully on my daughter’s face too (she’s 16). Marcelle Ultra Gentle Cleansing Gel is an ultra-mild and non-foaming facial cleanser that is gentle enough to be used on the eyes to remove make-up. It is enriched with aloe vera and glycerin, the gel is gentle and protects the skin’s natural moisture barrier. Just massage the cleanser gently on wet or dry skin and remove the excess with a dry cotton pad or rinse it away with lukewarm water. It’s that easy! suitable for all skin types, ideal for sensitive and dehydrated skin – SUITS THE WHOLE FAMILY! The result is a cleansed face, free from make-up residue that is soft and supple. The fact that the whole family can use Marcelle Ultra Gentle Cleansing Gel just makes it easier … one cleanser is all we need in our household. … but it doesn’t end here! Marcelle is innovative … this season, it focuses on the eyes and introduces a variety of newcomers that will turn any face into an eyeful. 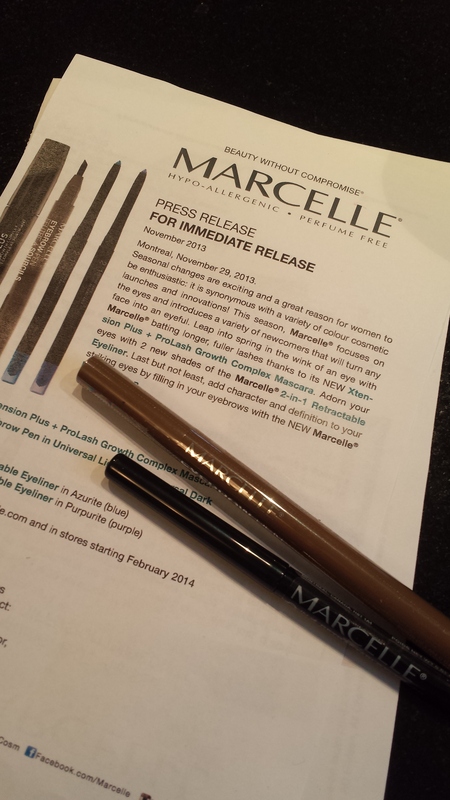 Using the NEW Marcelle Xtension Plus + ProLash Growth Complex Mascara, the Marcelle 2-in-1 Retractable Eyeliner (I received Azurite), and the NEW Marcelle Eyebrow Pen, you are sure to rock a new look! ALL items available at Marcelle.com and in stores starting in February 2014. See for yourself the difference it makes! My eyelashes are definitely fuller … what do you think? I know I have big eyes but you can really see how they POP, can’t you? One half of my face is done “à la Marcelle” and the other half I’ve left au natural. 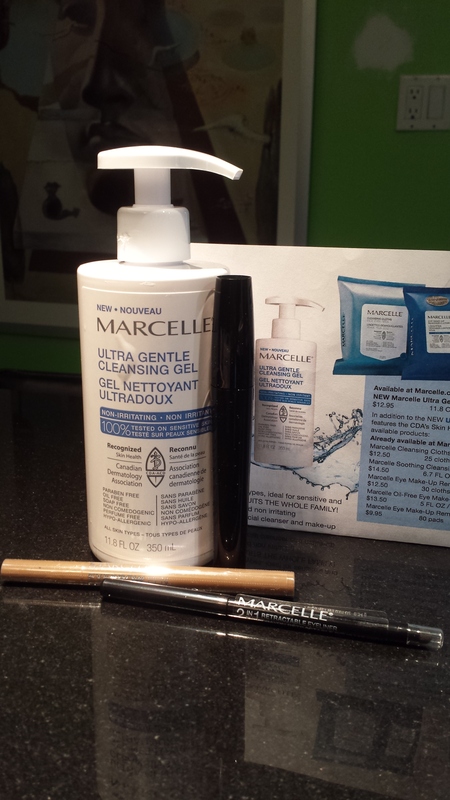 Disclosure: Marcelle Cosmetics provided me with the above-mentioned products. I have not been financially compensated in any other way. I am not obliged to give a positive review. Any opinion(s) expressed is my own, and is given freely. Any information acquired from Marcelle Cosmetics’ various social media formats has been authorized, and has been done so as to facilitate my post/review. 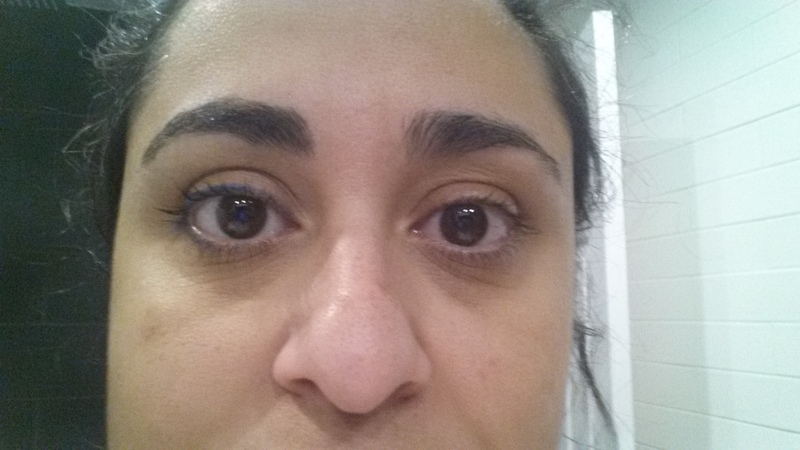 Marcelle’s Lash Extension Mascara is all I use now… I love it!